Last Monday, January 28, was widely recognized as National Data Privacy Day. Data security is growing in importance daily, with controversies and leaks plaguing the news. As more progress is made in the events industry and more processes go paperless, event and meeting planners need to protect their data now more than ever. It’s crucial to be aware of your information and to know how it is being shared. National Data Privacy Day aims to create conversations and increase knowledge across the workforce. The more information planners incorporate into their online and virtual presence, the greater the risk, as well as the greater responsibility. Unlike personal use of data security, those in the events industry are often dealing with their attendees’ information—from travel plans to credit card information. Here are some tips and tricks for protecting your event attendees’ data. It seems simple, but picking the right password is always the first step toward preventing data leaks or hacking of your accounts. Pick a password that’s longer than a simple name or dictionary word—instead aim for a passphrase. A passphrase can be anything, from a favorite line in a song to something someone said the other day that you keep thinking about. Work in numbers and punctuation, but focus on elongating the password itself. It may not seem like the most convenient thing to do, but in the long-run, it’s worth investing your time. When you’re dealing with other people’s data, it’s your responsibility to keep it guarded. 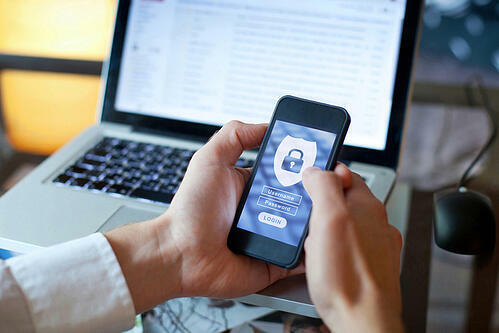 Another way to protect your information is to set up a dual-factor authentication system for log ins. Though they, too, may seem time consuming, dual-factor systems provide an extra layer of support, like a safety net. Try not to have one password across the board for all of your accounts, and instead, spread them out a bit. Change them often, too. Temporality and staying up to date is key. Additionally, try to set your computer’s software to update automatically, keeping you protected with the newest changes. Many viruses pose as updates, as well, so automating your updates will remind you to keep an eye out. Encrypt and back up your data often, as well. In the case your data is jeopardized, it’s important to be able to recover what you’ve lost. An external hard drive is a good investment. Set up anti-malware systems—you don’t want anything sneaking into your information or your attendees’—so these protections are non-negotiable. Do your research, and find out which are the most trustworthy and effective anti-virus programs. No one wants someone breaking and entering, so you locking your door when you leave your home—small investments into your space online have the same payoff. If your website hosts a great amount of your attendees’ data, find data security integrations that will provide an extra level of protection. Also, do your best to avoid suspicious emails or messages, as most malware uses such as a way to sneak into your computer. Short and sweet: your attendees are trusting you with their data, so you should always do your part and keep that data safe by keeping your software clean, guarded and up-to-date.